Vøringsfossen is Norway’s most visited waterfall and undoubtedly its most famous. The Norwegian waterfall is a short jaunt from Bergen and fairly easy to access with your own car or an organized tour. This is a guide on how to travel to Vøringsfossen waterfall in Norway. How Much Does it Cost to Visit Vøringsfossen? My first trip to Vøringsfossen was in 2011. To be honest, I didn’t know much about nature in Western Norway aside from the fact that it was insanely pretty. After about a hundred stops on the way there (you never want to take a road trip with me in a beautiful destination because I make sure we stop every five minutes for photos), I finally made it to the most visited waterfall in Norway, Vøringsfossen. This is a travel guide to the Vøringsfossen waterfall and some of the area that surrounds it. 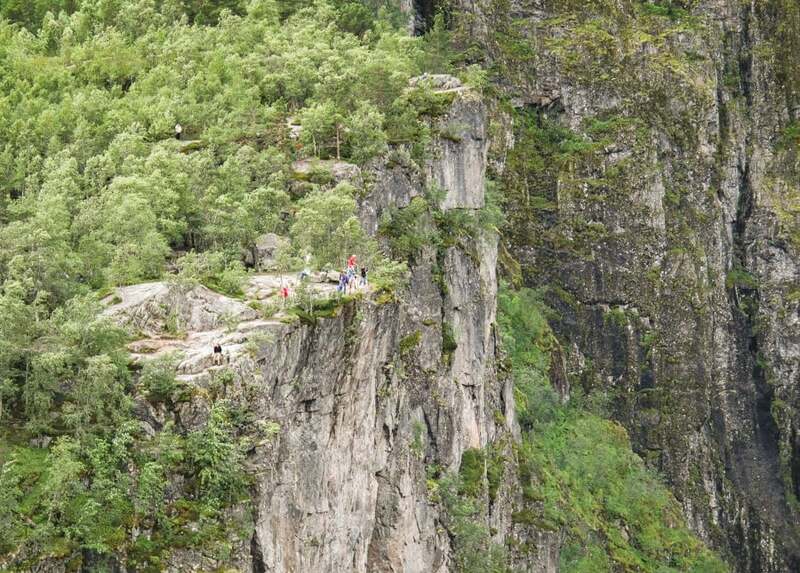 It will include hikes, hotels in Eidfjord and Vøringsfossen, and some information about the valley and viewpoints. If you have any questions or tips, please leave them in the comments. Emerging from the Bjoreia River on the western part of the Hardangervidda plateau, northern Europe’s largest plateau, is Vøringsfossen. The waterfall is the most famous waterfall in Norway. 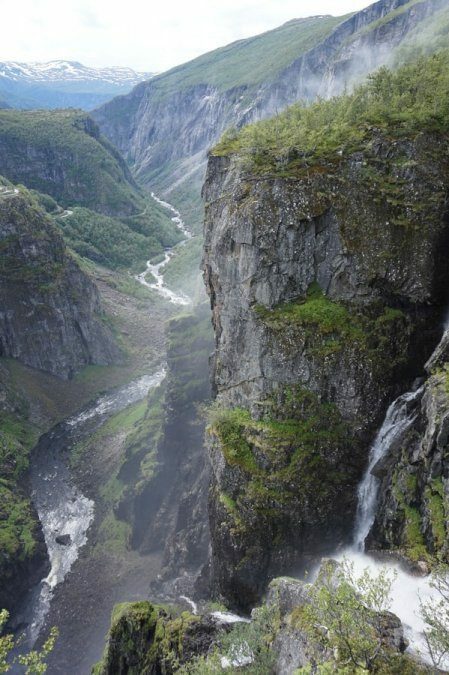 Having more than one cascade, the waterfall plummets 182 meters down into the Måbødalen Valley below. The Vøringsfossen waterfall is actually one of Norway’s hydraulic power sources and the amount of water in the river is determined by this in the summers. New viewpoints of Vøringsfossen are currently under construction and will be unveiled to the public in 2020. Vøringsfossen is one of the most popular natural attractions of the Hardangerfjord region. There are a few ways to reach the main Vøringsfossen viewpoints that are the best ways to enjoy the waterfall. One of the viewpoints is from above the waterfall near the Fossli Hotel and the other is from down below in the Måbødalen Valley. In 1916, a road accessible by foot or bike that connects the Hardangervidda canyon to the Måbødalen valley was completed. 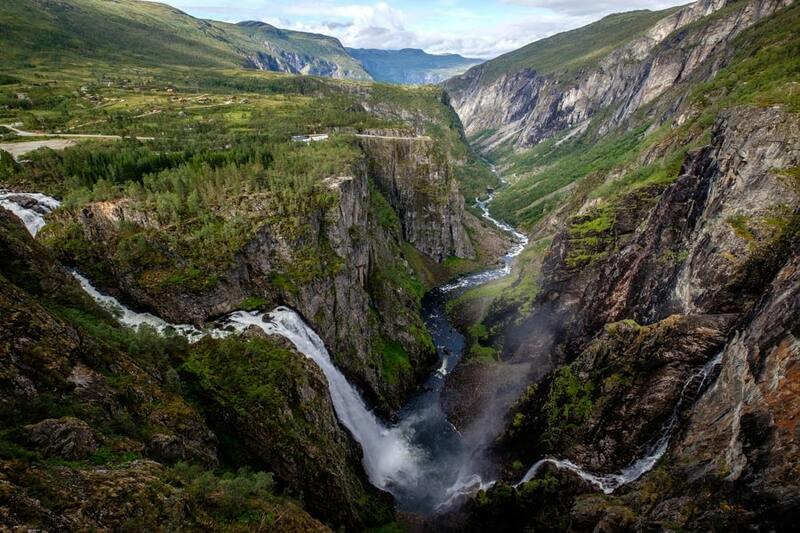 If you wish to admire the beautiful Vøringsfossen waterfall from a higher viewpoint, hike or bike along this path. You can also choose to stay at the Fossli Hotel which sits on top of the Hardangervidda canyon for a one-of-a-kind view of the waterfall. There are hiking paths from the hotel as well. 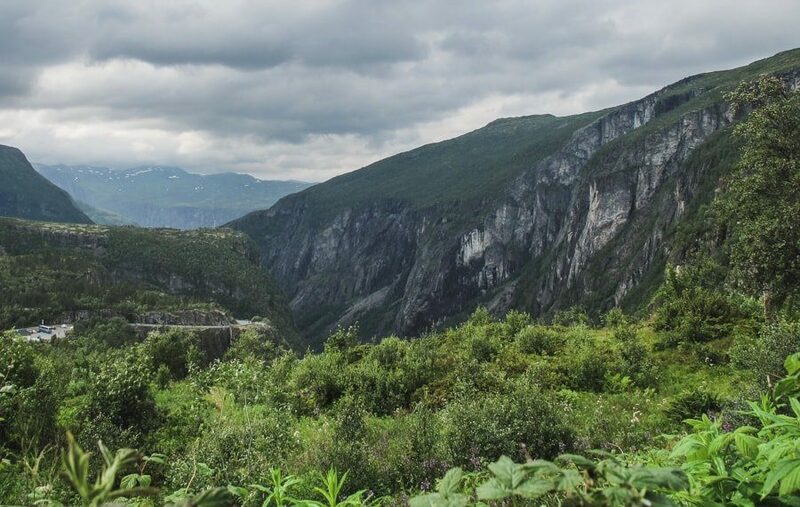 The valley is a popular way to get to the Vøringsfossen waterfall because there are a lot of roads passing through it. 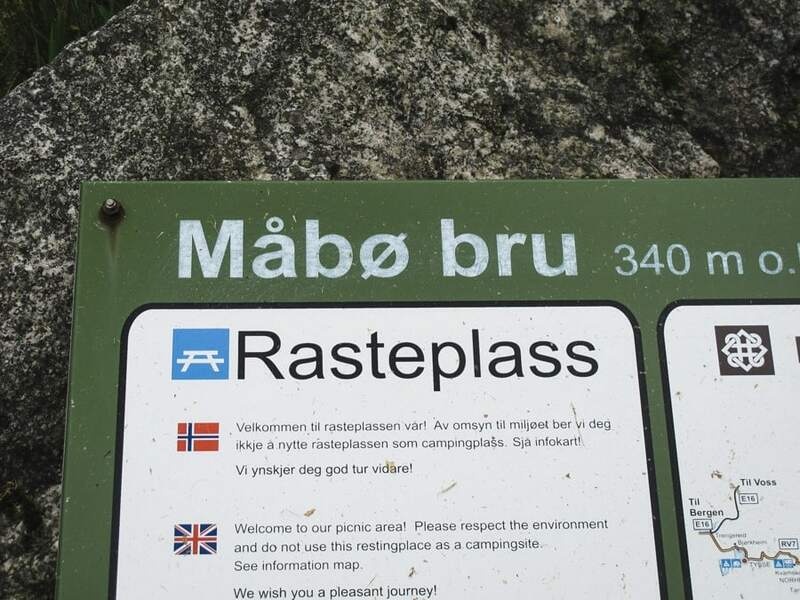 You can travel by car and then park near the upper exit of the Måbøtunnel. From here, you can hike by foot, following the path which is about 300 meters from the old road. Then, you will notice a sign pointing towards Vøringsfossen when you reach a turn, and it will lead you to a path by the river. The pathway, which was created in the 1780s to make the journey to the waterfall easier for hikers, is made from a total of 1,300 stone steps. Close to the waterfall, you will see a hanging footbridge that you can cross to get a closer view of Vøringsfossen. Over the years, safety at Vøringsfossen has been a major concern. Right before I first visited and made my move to Norway, an Austrian tourist fell over the edge and died. Moreover, a few other tourists have died there over the years, including a Russian woman a few years back. Be cautious and vigilant when there. The paths are well-marked and there are fences and gates in most spots. There should be no excuse to overstep these. First of all, it is a safety violation. Secondly, it is not kind to nature. Don’t be an idiot. The best time to hike to the Vøringsfossen waterfall is between May and October, before winter comes. During this peak period, the trail is not covered by snow. If you decide to head to the waterfall in winter, be sure to dress appropriately for the conditions. 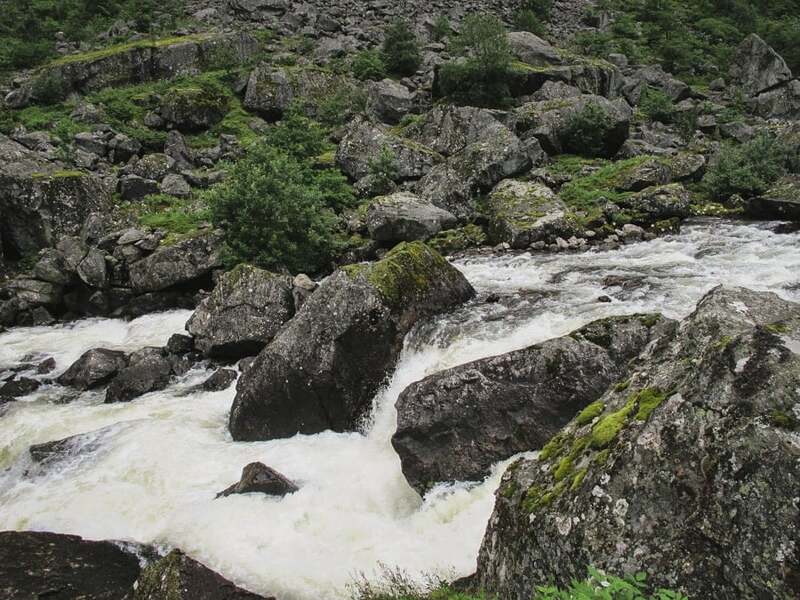 The summer months are not entirely that warm either and it will likely be rather chilly at the waterfall as it is situated near the high Hardangervidda plateau. After a long hike, head to the Vøringfoss Kafeteria at the top of Måbø Valley near the Vøringsfossen waterfall to eat lunch. They also serve coffee and pastries. You can purchase souvenirs from the shop to bring home for friends and family as well. Mentioned a few times in this Vøringsfossen travel guide, Fossli Hotel sits atop the waterfall and has a restaurant inside. Free! There is no fee to enter the area or to hike there. You may receive a parking fee depending on where you decide to park your car, but if you’re strategic, you won’t have to pay. 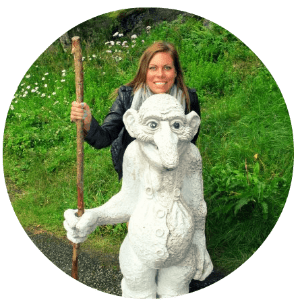 There are many things to do in Bergen, but one of the best things about the western Norwegian city is that there is ample opportunity to get out of the city and see some of the magical Norway countryside. Vøringsfossen is an ideal day trip from Bergen. In Bergen, hop on the E16 toward the direction of Oslo. In Voss, get on the 13 toward Granvin and the Hardangerfjord. This will take you to the Hardanger bridge. Once you cross the Hardanger bridge (Hardangerbrua), you will need to get on the 7 toward Eidfjord (direction Oslo). In Eidfjord, you will follow the signs toward Hardangervidda and Vøringsfossen. You will hug a lake called Eidfjordvatnet and this is the bottom of Vøringsfossen. You can park at the bottom of the Måbødalen Valley or keep driving up the mountain toward Fossli Hotel and park there. This road will have tolls and will take you around 2.5 hours. In Oslo, take the E16 in the direction of Bergen. Once in and around Hønefoss, you will need to get on the 7 toward the west of Norway and Bergen area. 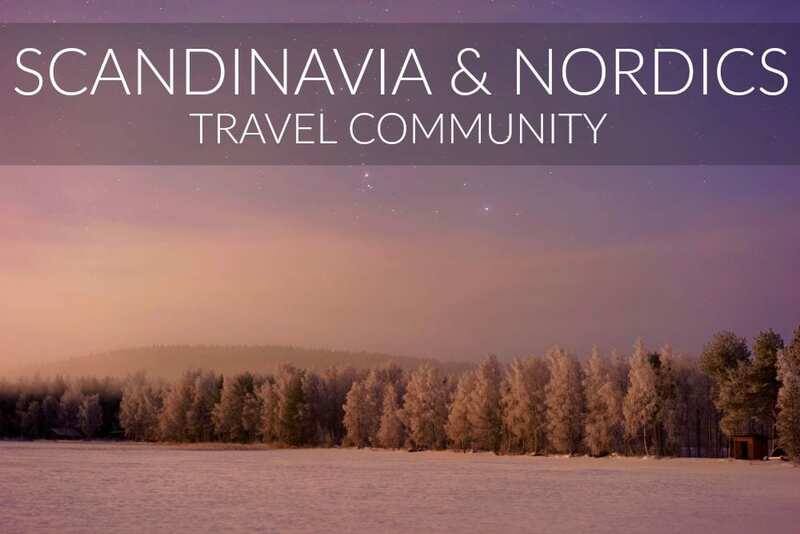 You will drive across Hardangervidda and on the other side of the plateau you will continue going toward Eidfjord and will come right upon Vøringsfossen. This route has tolls and will take you around 4.5 hours. There are not a lot of tour options to see Vøringsfossen, unfortunately, and most people do it independently or with an organized multi-day tour. If you’re coming off on a cruise excursion in Eidfjord, depending on your schedule, you may be able to take this tour that meets at the Eidfjord Tourist Information Center. 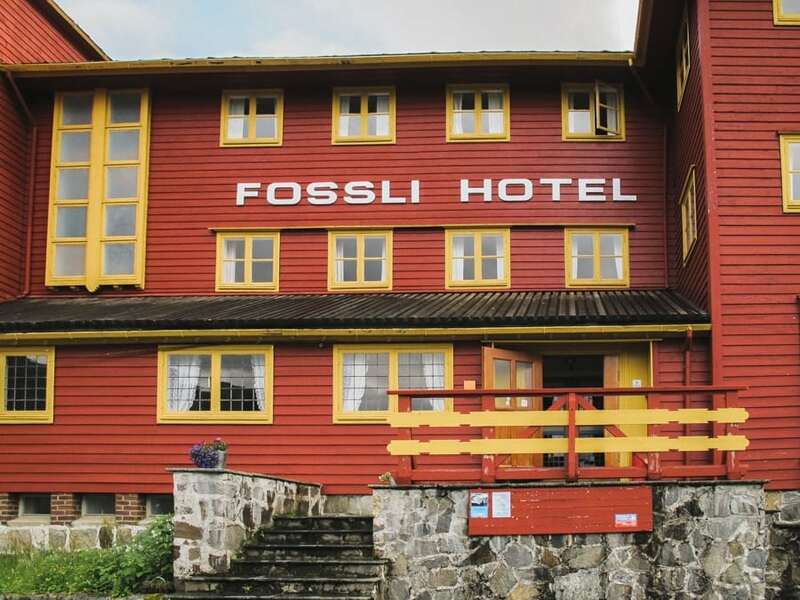 Built in 1891, the Fossli Hotel is located on top of the Måbødalen canyon, just a short distance from the waterfall. In fact, there is a spectacular view of Vøringsfossen from the hotel grounds. 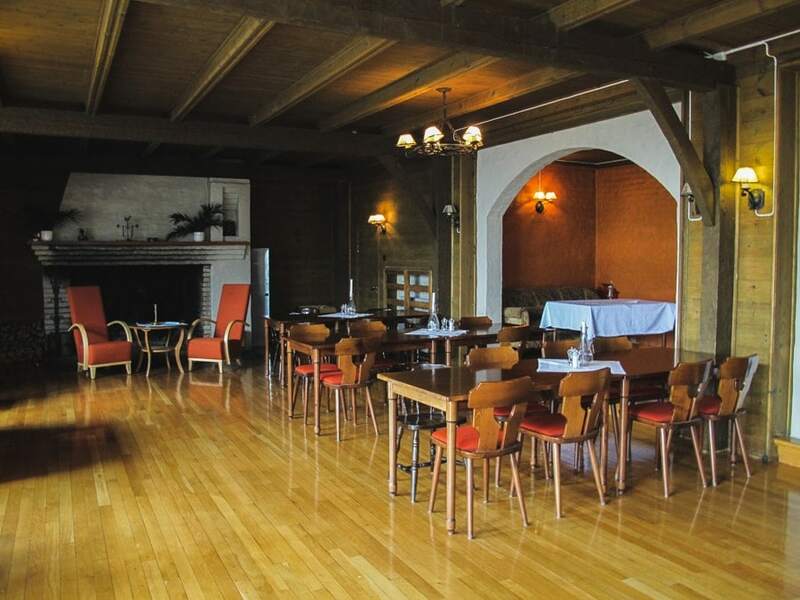 There are 21 rooms at the hotel, as well as a restaurant, café, and bar. 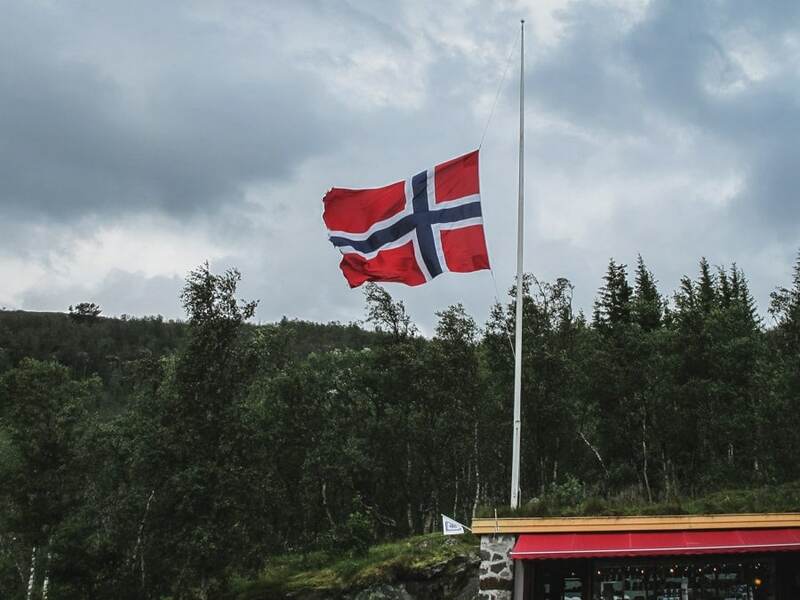 Most people coming to Vøringsfossen will not be staying overnight and will simply be there on a Bergen day trip or a cruise excursion. However, if you find yourself visiting the waterfall and wanting to overnight, there are a few options in Eidfjord. Thanks Megan for a very informative post. After travelling and seeing Iguazu Falls and Niagara Falls Voringsfossen Waterfalls is next on my list. I appreciate you also including how to travel there and what is available. I will certainly bookmark this post for future reference.